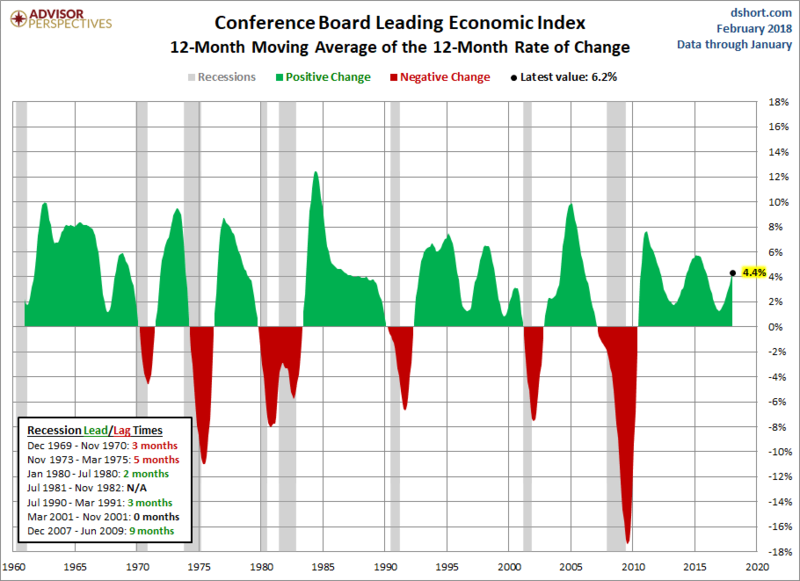 The latest Conference Board Leading Economic Index (LEI) for January increased to 108.1 from 107.0 in December. The Coincident Economic Index (CEI) came in at 103.0, up from the previous month. 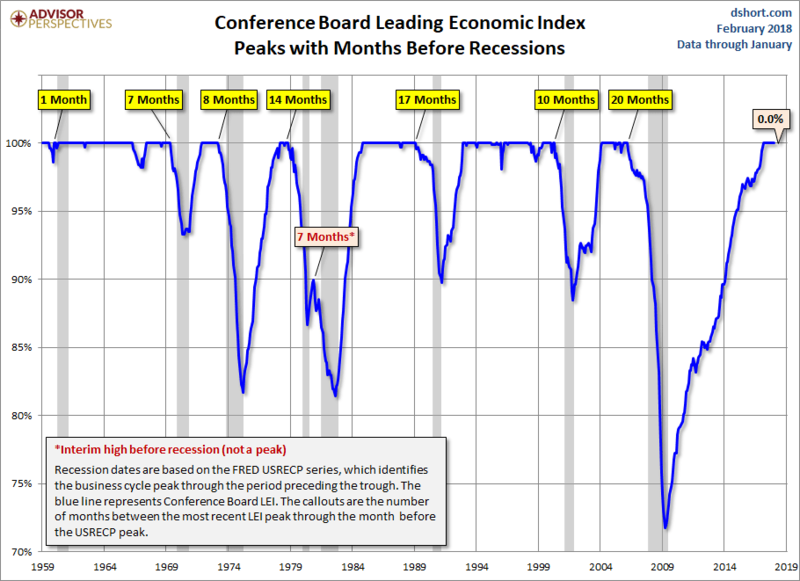 For a better understanding of the relationship between the LEI and recessions, the next chart shows the percentage-off the previous peak for the index and the number of months between the previous peak and official recessions. 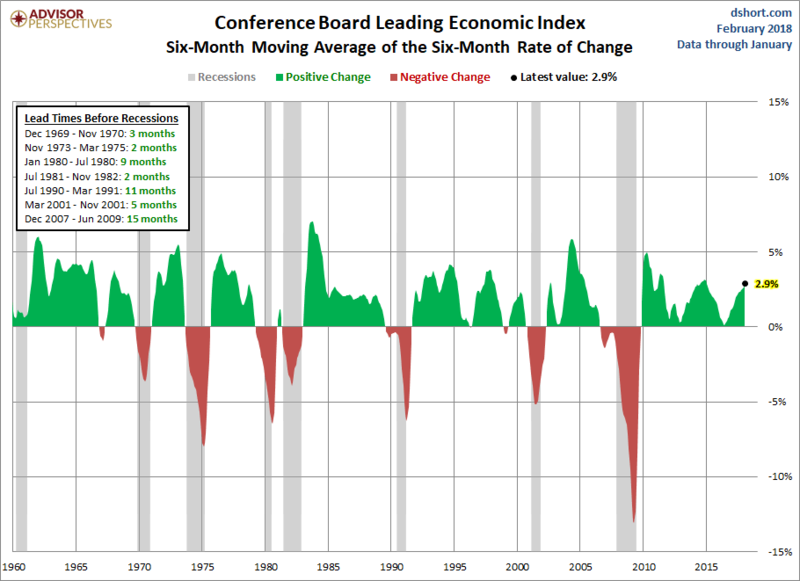 Based on suggestions from Neile Wolfe of Wells Fargo Advisors, LLC and Dwaine Van Vuuren of RecessionAlert, we can tighten the recession lead times for this indicator by plotting a smoothed six-month rate of change to further enhance our use of the Conference Board's LEI as a gauge of recession risk. 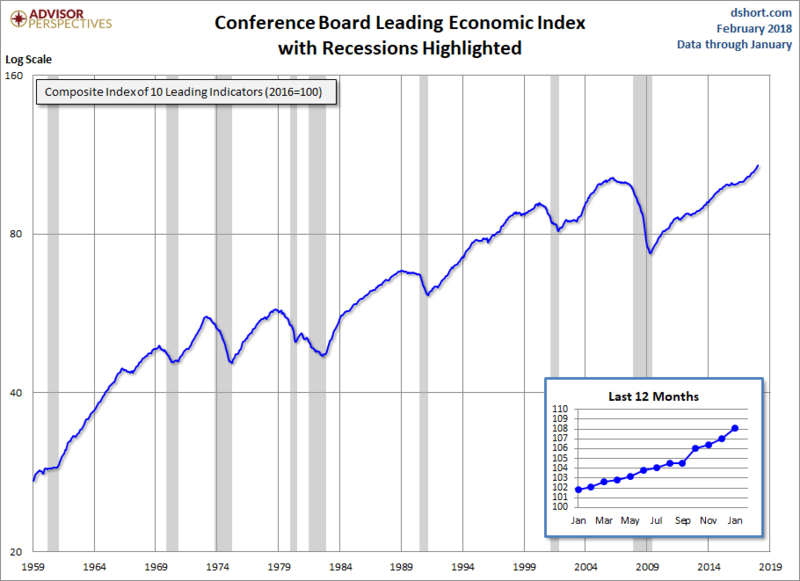 The Conference Board also includes its Coincident Economic Index (CEI) in each release. It measures current economic activity and is made up of four components: nonagricultural payroll, personal income less transfer payments, manufacturing and trade sales, and industrial production. 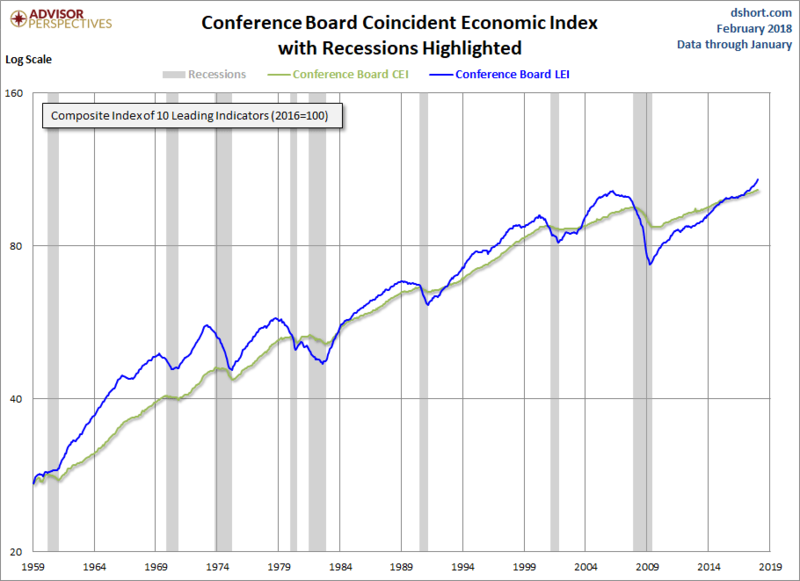 Based on observations, when the LEI begins to decline, the CEI is still rising. Here's a chart including both the CEI and LEI. 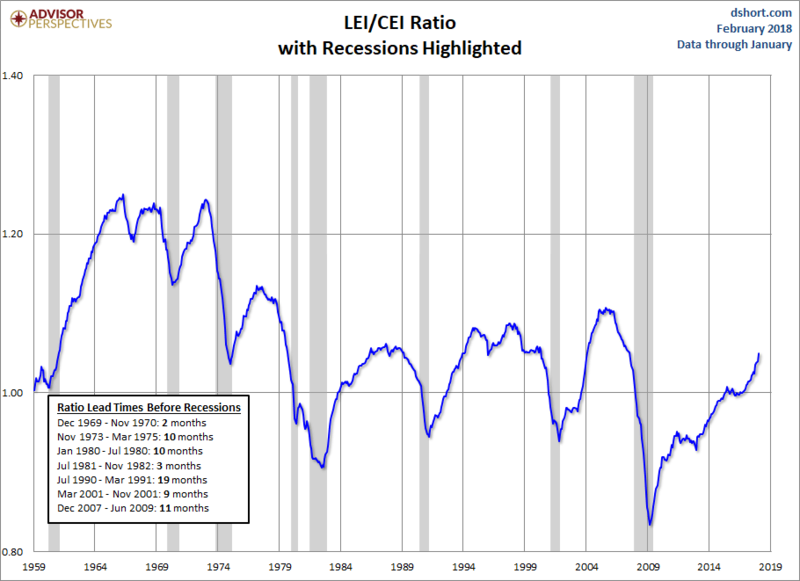 Here is a chart of the LEI/CEI ratio, which is also a leading indicator of recessions.